It was a banner week for soccer sponsorships in the great state of Texas. Both the Houston Dynamo (MLS) and Galveston Pirate (NPSL) announced major sponsorship deals that put them in the forefront of their respective leagues. The Houston Dynamo announced a long-term sponsorship agreement with Mazda North American Operations (MNAO) on Thursday. The agreement will make Mazda the official vehicle of the Houston Dynamo as well as a founding partner of BBVA Compass Stadium, which will open May 12. 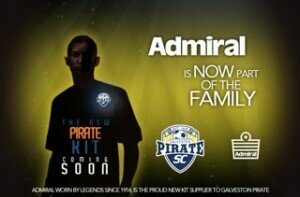 The Galveston Pirate made a huge splash in the NPSL, signing a five-year sponsorship deal with Admiral Sportswear. Admiral is a brand once worn by some of the biggest names in the world of soccer, including Manchester United, the New York Cosmos, the Vancouver Whitecaps, and the English national team. Today the brand has made a resurgence in North America and is being worn by champions like the Minnesota Stars (NASL) and Kitsap Pumas (PDL). Admiral is also worn by numerous other USL-Pro, NPSL, MISL, and WPSL clubs such as the Puerto Rico Islanders, AFC Cleveland, Norfolk SharX, and the LA Vikings. 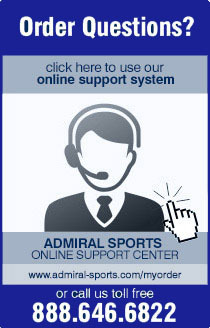 Galveston Pirate is excited about playing in the NPSL in 2012 with a major sponsor like Admiral in tow. Admiral Sportswear is excited about breaking into a new market like the Southwest.